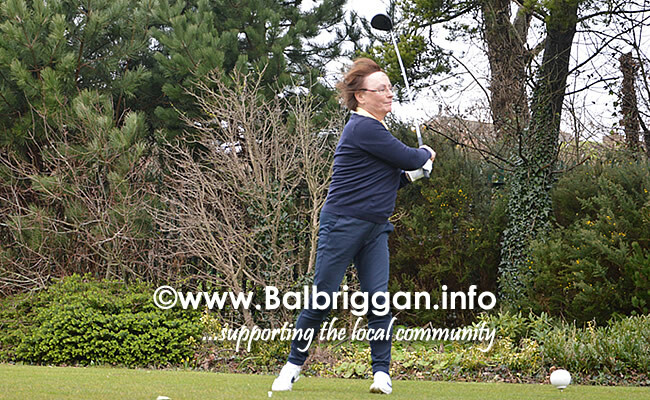 There was certainly no danger of severe weather warnings at Balbriggan Golf Club on Saturday 10th March as the Captains Drive In took place in Springlike conditions. 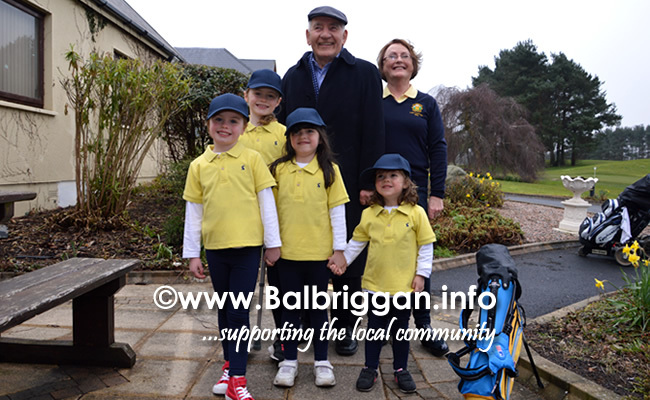 Captain Tony Hamilton, Lady Captain Beatrice Magee & Junior Captains Ciaran & Sorcha Murphy were led through the traditional Guard of Honour by a huge number of members to the 1st Tee Box by amazing Piper & Drummer Tristan & Callum, Grandchildren of Vice Captain Marie White’. It was a wonderful family occasions for all the Captains. 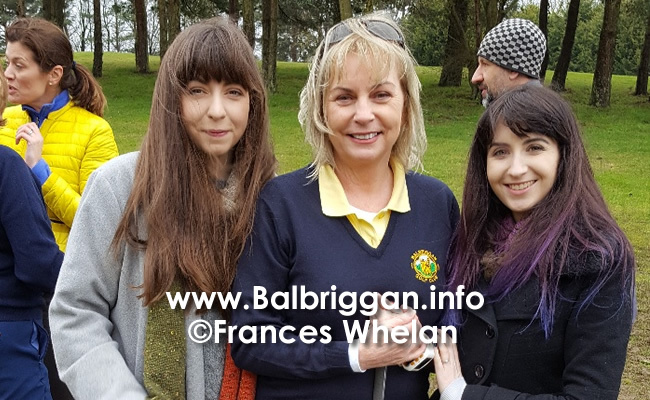 Vice Captain Pat Kinsella called the Captains to the tee box.. 1st off the Tee supported by their extremely proud parents was Junior Captain Sorcha Murphy. 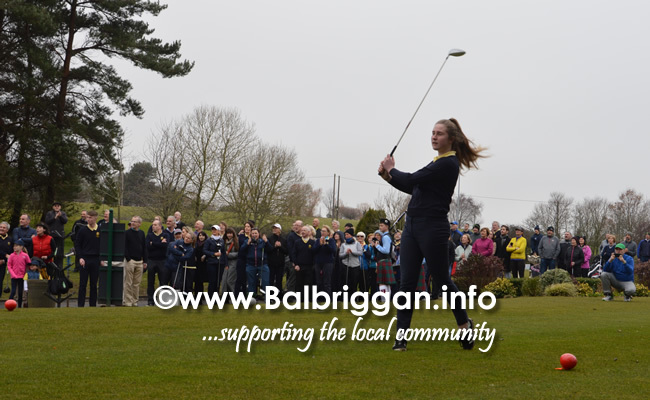 A left handed player Sorcha sent the ball well up the fairway to a rousing applause. 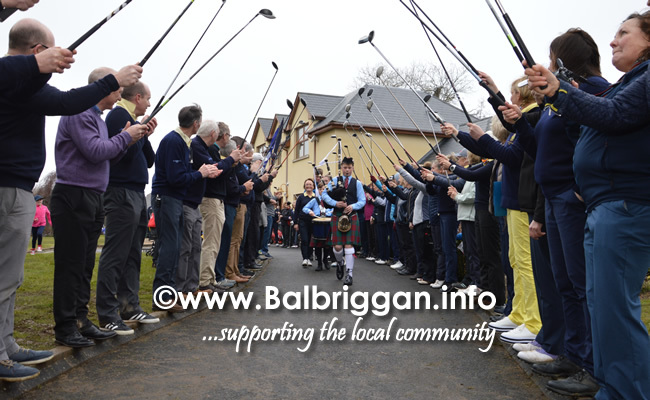 Brother Ciaran was next & playing a fantastic shot he sent the ball out of sight up the fairway & received enormous applause. LC Beatrice played a beautiful shot straight down the fairway as everyone cheered. 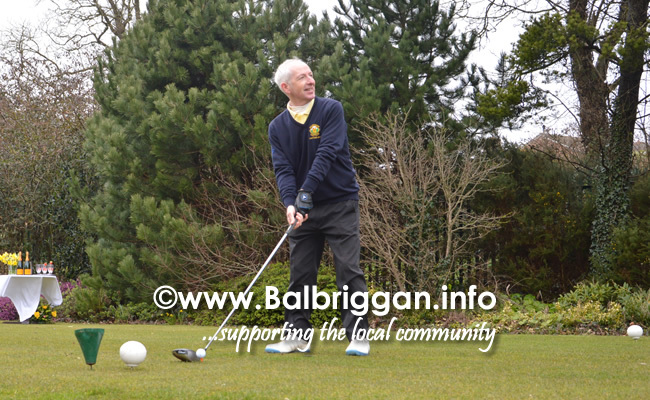 There was absolutely no pressure on Capt Tony as the crowd were really very encouraging as he hit a magnificent shot down the fairway much to his relief he also received a huge round of applause. Captain Tony was supported by his wife Ron daughters Amanda & Rachel sisters Pam, Netta brother Des, & mother in law Bernie Corcoran. Captain Tony is a retired ESB Engineer & has been a member of BGC for 30 years. He excelled in his role as Hon Secretary. In 2017 Council agreed to the refurbishment of the Clubhouse. Captain Tony managed the project & spent a huge amount of his time in the Clubhouse ensuring the project was completed in early January 2018. 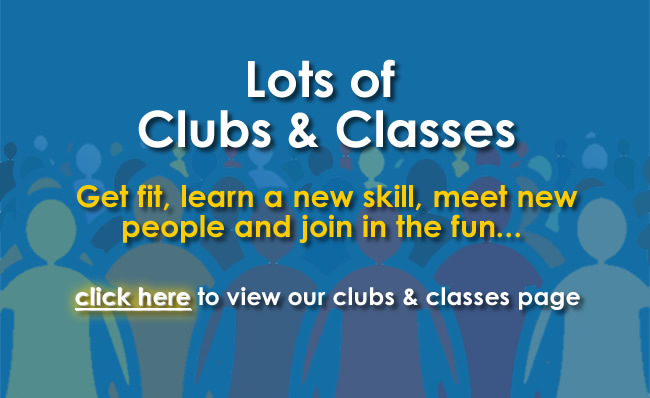 He is an extremely hard working member of our Club. 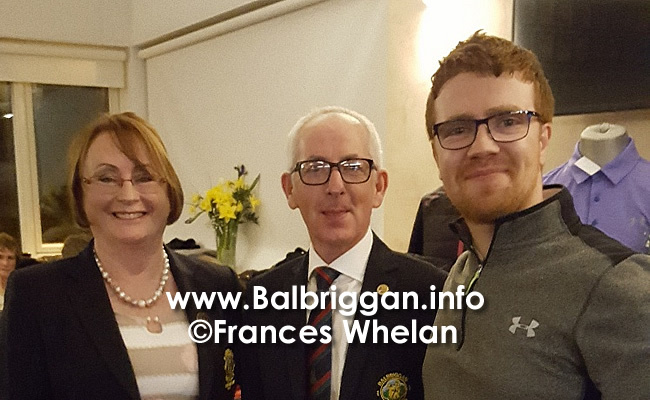 Originally from Drumcondra & living in Malahide for the past 40 years LC Beatrice is a retired Secondary school teacher & has been a member of BGC for 25 years. 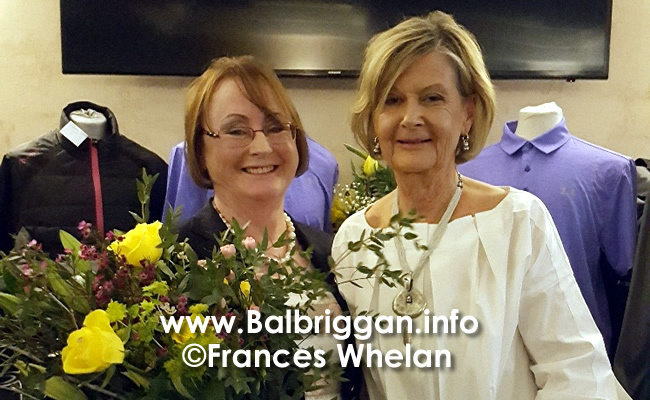 Captain Beatrice Magee supported by her Husband Sean sons daughters sons & daughters in laws & her 5 granddaughters. 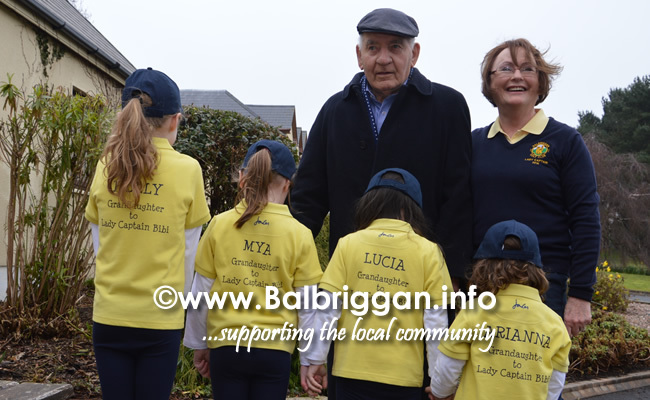 Holly , Mya Lucia & Arianna surprised their Nana Bi Bi by wearing club colours with a special message embroidered on the back. The latest edition to the family is 2 week old Zoe making sure she wouldnt miss out on this huge family occasion. 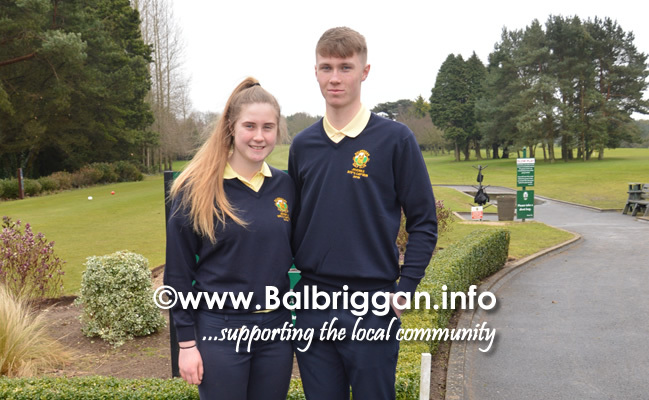 Our 2 Junior Captain this year making club history as first Brother & Sister Captains are Ciaran & Sorcha Murphy from The Man of War. 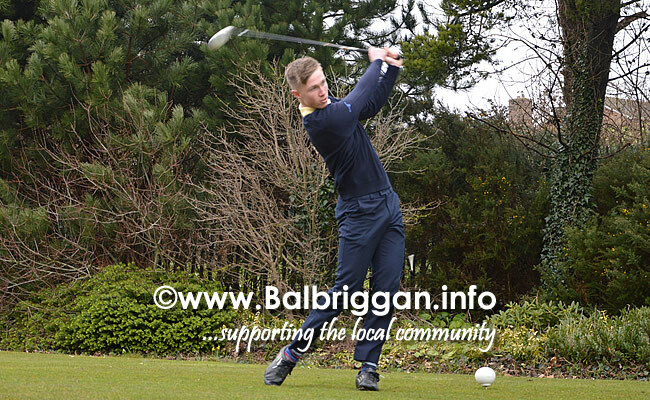 Ciaran is a 6th year student at Skerries Community College. Sorcha is a 3rd year student at Loreto Balbriggan. 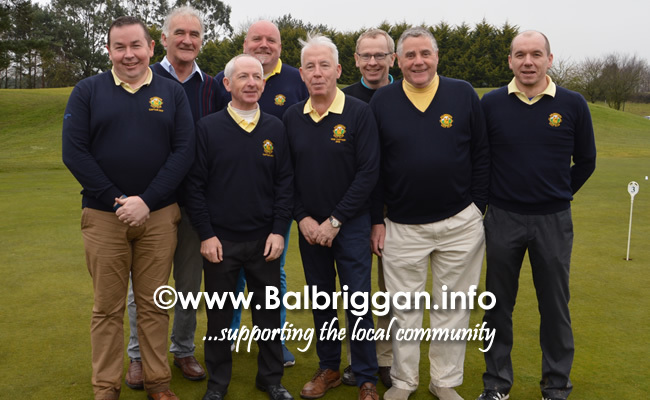 Captain Tony thanked Peter Slevin & was honoured to accept the role of Captain of Balbriggan Golf Club. 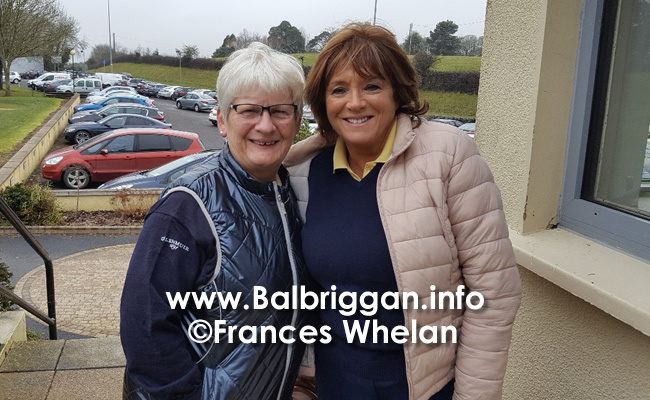 Lady Captain Beatrice also thanked Bernie Hunt for giving her the opportunity to become Lady Captain & she looks forward to the year ahead. Both Captains addressed the members. 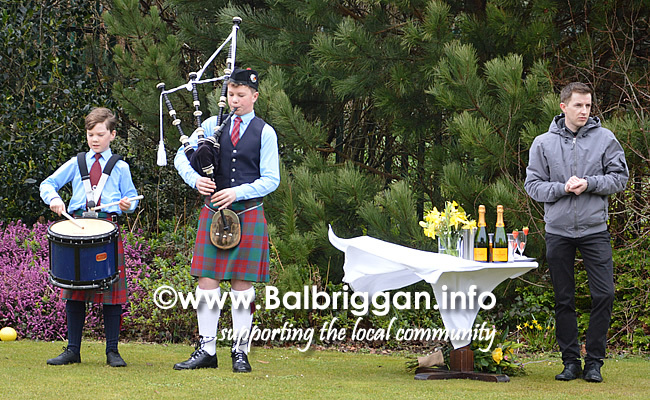 Each thanking their families & everyone involved in making their day such a memorable occasion. 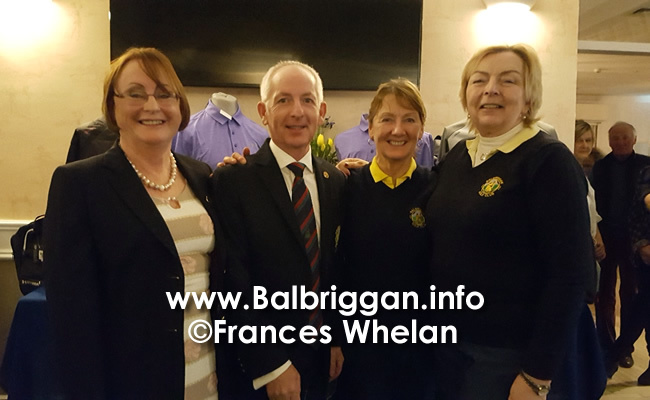 They thanked President Muriel Ennis, The Council, Ladies & Mens Committee, Sub Committees, House & Social Committee, club Professional Nigel Howley & assistant Padraig, our very generous Sponsors & our tremendous members for their continuous support & encouragement. Our club Caterer KMR & Staff were also thanked. The presentation was made by both Captains. The Competition on the day was a 4 person Team Scramble Event. 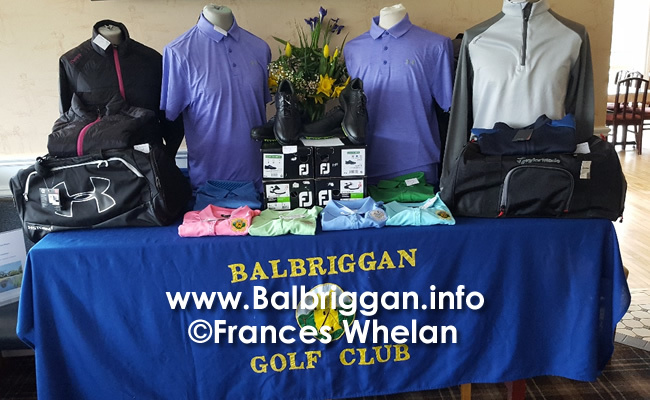 1st – Tom Clarke,Barry Archer, Adrain Brown , Mark Farrell. 2nd – Eddie McGrath, Kieran Campbell, Stephen Tracy, Wayne Lambe. 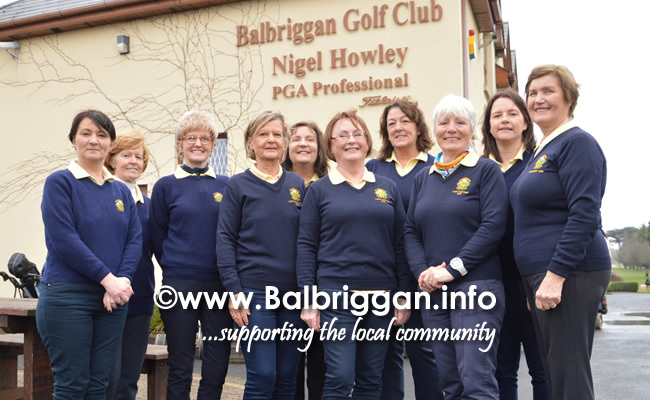 Ladies Team winners were Nicola Campbell, Bernie Corcoran, Ron Hamilton, Catherine Guinan. 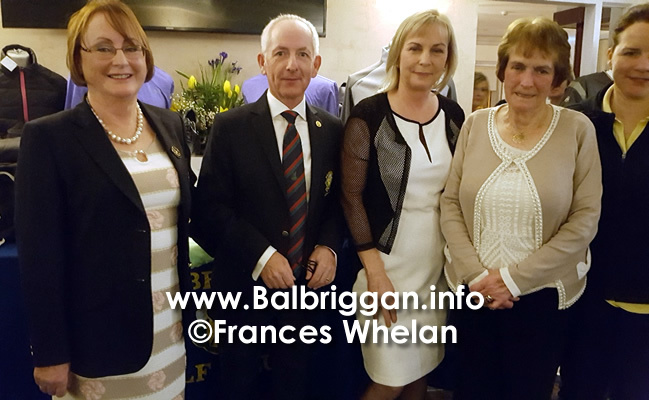 2nd Orla Sullivan , Peter Sullivan, Esther McConnell, John Mc Connell.